The Forum is chaired by Founder and Executive Chairman Professor Klaus Schwab. It's guided by a Board of Trustees, exceptional individuals who act as guardians of its mission and values, and oversee the Forum’s work in promoting true global citizenship. The Board of Trustees comprises outstanding leaders from business, politics, academia and civil society. In their work on the Board, members do not represent any personal or professional interests. To reflect the Board's multistakeholder status, its membership is divided equally between representatives of the business community and leaders from international organizations and civil society. 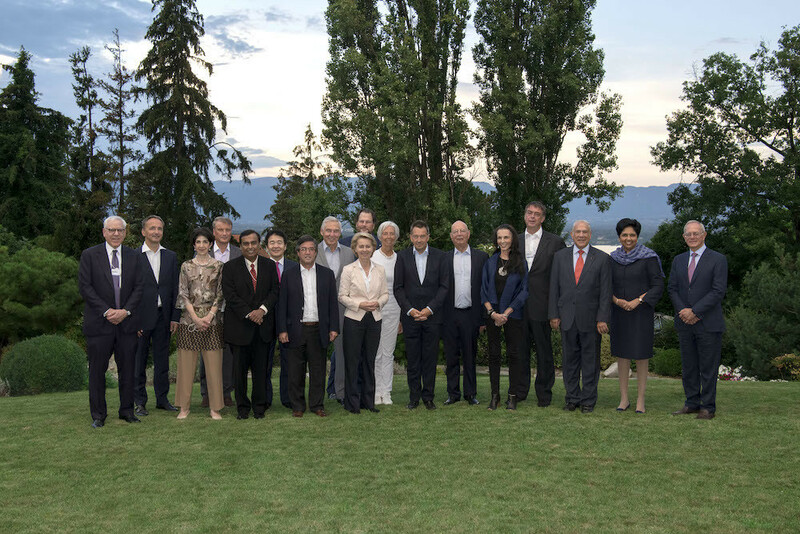 The Managing Board, chaired by the Forum's President, Børge Brende, acts as the executive body of the World Economic Forum. It ensures that activities fulfill the mission of the Forum and acts as its representative to outside parties. The Managing Board has a collective executive responsibility for the Forum and reports to the Board of Trustees.